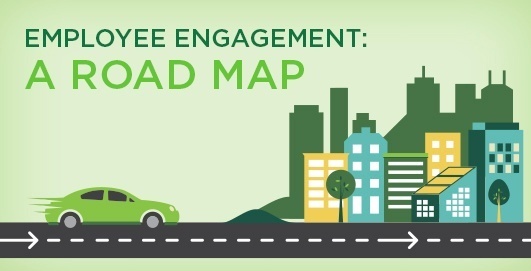 Do you know how to create employee engagement? What comes first? Happiness at work or engagement at work? In the world of organizational behavior, we know that happy workers are more likely to be engaged. But this doesn’t tell us much. My favorite line from one of my graduate professors was “correlation does not prove causation.” If we want to figure out what CAUSES employees to be engaged at work, we need to look deeper than the broad concept of workplace happiness. In the last two decades, the business world has shifted its focus from employee satisfaction to employee engagement. HR departments have recognized that the engaged worker is what it wants. While happiness at work is nice, it does not have the same impact on bottom-line company results as engagement. Gallup’s research shows that companies with high engagement have a 20% increase in productivity and profitability. Gallup’s 12 question survey (the Q12) was constructed by assessing more than twenty-five years of workplace research and interviewing over a million employees. The questions (listed below) are geared toward the three-pronged needs of workers, namely: 1). Do I understand and have what I need do my job? 2.) Do I feel respected as a person, respect my colleagues, and respect the work we are doing? 3). Do I receive feedback about my work and have opportunities to grow? Stated more simply, the head, heart, and hope of each employee need to be considered to increase individual engagement. The first step connects your head to your job – do I understand? The second step connects your heart to your job and your business – do I feel important and that the work we are doing is important? The last step connects your hope to your job – how am I doing and how can I do better in the future? How would you answer the questions below? Obviously, the questions above tap into much more than just happiness. There is a depth and richness to understanding employee engagement. Organizations need to put a spotlight on the heads, hearts, and hopes of their workers to fully realize the benefits of an engaged workforce. You just received your map. Are you ready to hit the road? This article was posted in employee engagement, employee satisfaction, happiness, productivity, profitability, Q12 and tagged bottom line, happiness, road map. Bookmark the permalink. Follow comments with the RSS feed for this post.Post a Comment or leave a trackback: Trackback URL.